Remember all the gems I found on my garage sailing trip?? 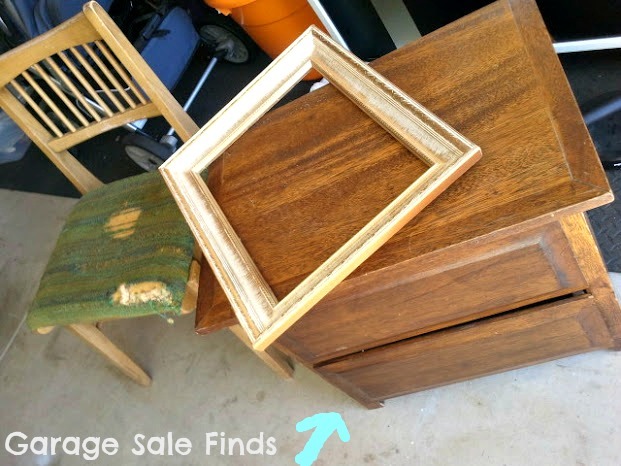 This little nightstand was actually on the side of the road for free! So, of course, I had to grab it. If you missed what I did with the chair you can find out here. It was a pretty simple job! 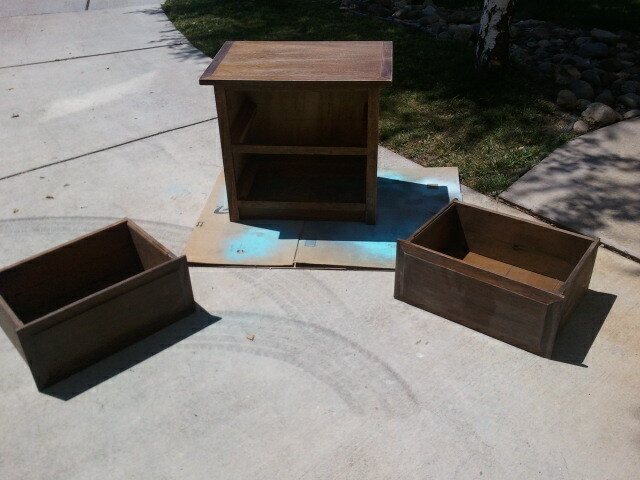 I sanded all the pieces down then drilled holes in the drawers. I totally felt awesome wielding a drill! 🙂 I am not a power tools kinda girl but I think I’m on my way. 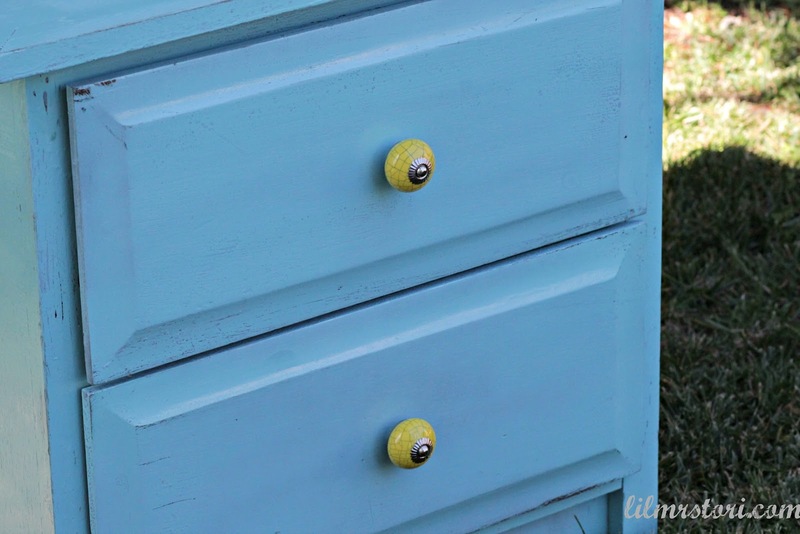 I knew I wanted some cute knobs to decorate the piece with so I jumped online to one of my favorite shops Mindy Mae’s Market. Luckily for me they had just what I was looking for!! Adorable knobs! I whipped out my favorite color of spray paint these days, Krylon Ocean Breeze Blue and went to work. I added the knobs and that was it. 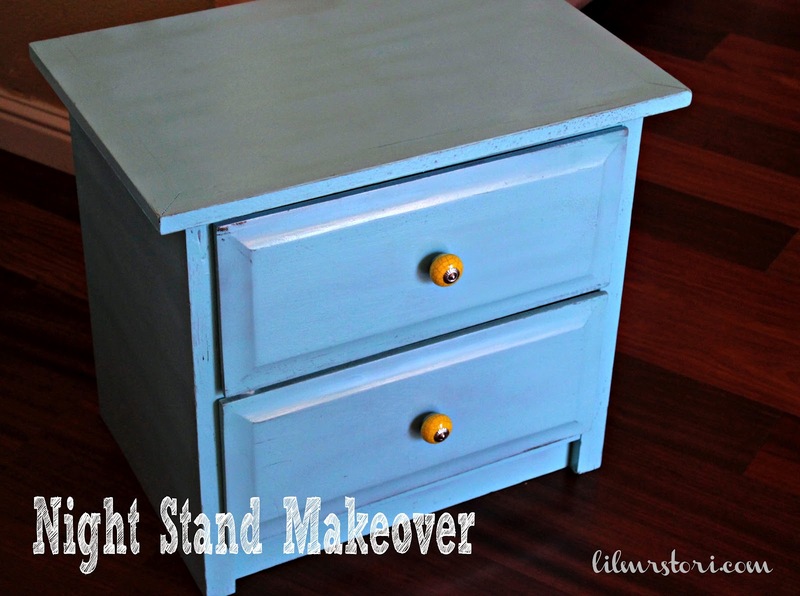 A cute little nightstand that hardly cost me anything! Hope everyone has a wonderful Wednesday! If you haven’t linked up your awesome projects hop on over and join me for Tuesdays with Tori! You have so many cute, creative ideas here! Newest GFC follower from the GFC blog hop. Would love it if you could visit and follow back. Thanks for sharing! LOVE the free road side stuff! nice color! I found one similar at GW for $9, not free but still cheap – on my list to spray paint very soon. Visiting thru Melrose Family party!